Xcountry skiing is your Hearts Best Friend. If you have never tried xcountry skiing, you are missing out on one of most enjoyable winter activities. It's not only fun but it will be your hearts best friend. While the kids are having a ball snowboarding at Whistler why not give Nordic skiing a try. Click here to read about Jackrabbit Johannsen who started it all. 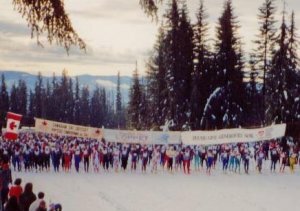 Cross-country or Nordic skiing differs from Alpine skiing. Alpine skiing takes place on a mountain with ski lifts to take you up and wide skis to make you come down. Wide skis are made in such a way to allow fast turns easily. Nordic or cross country skiing takes place on any terrain hilly or flat. The skis are narrow or "skinny" as some people call them. You use longer poles to propel you along. The skis have grooves resembling fish scales on the bottom to keep your skis from sliding backward. Some racers use skis with waxable bottoms. Wax is matched to the weather and contrary to what you may be thinking, wax doesn't help the ski go faster, but it is used instead of the fish scales to stop the ski from sliding backward. As the waxable ski slides forward, the wax heats up and softens from friction with the snow, as it comes to a stop, the snow crystals dig into the wax stopping the ski from sliding back. The wax releases the snow as the skier glides ahead and the process is repeated over again. As there are no fish scales on the skis, the ski glides easier. The downside of waxable skis is the wax. It must be matched to the temperature. there are dozens of waxes available for every conceivable temperature variation. Proper waxing is a tedious task and most of the older skiers who started out skiing before waxless skis were perfected will confirm that waxless skis are the best thing to happen to cross-country skiing. The simple answer is anywhere you want. 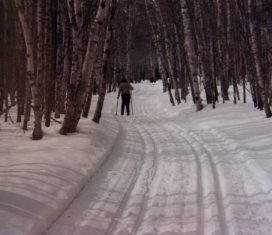 Any snow covered field, walking trail or unused roadway is suitable for x-country skiing. Nearly every winter area has a ski club whose members maintain either virgin or groomed trails. Most public parks maintain trails. Check out the beautiful and varied Whistler Accommodations by clicking here. The difference between Virgin and track set trails. 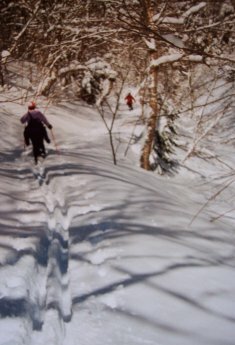 Any area where the snow is untouched is called a virgin ski trail. To groom a ski trail and track set it takes special machinery. A good snowmobile, preferably a double track one, will tow behind it a groomer. The groomer stirs up the snow, breaking it down and removing the air, almost like a farmer harrowing a field. The compacted snow creates a firm base for the narrow skis. Even the snowmobile track itself can be used as a groomed trail. To make the trail even better, a track setter can be attached behind the groomer to set two nicely spaced tracks. Now the skier simply sets the skis into the track and it's like a super highway to your skis. Xcountry skiing doesn't get any better than this. How do you control the speed? You're going down a steep hill with a turn at the bottom. What do you do? Learning x-country skiing is fun. Check out these tips. The person setting the track knows that problem quite well and will raise the track setter before reaching the bottom and around the turn, therefore allowing the skier to use a side stepping motion to go around the turn with ease. The same procedure goes for steep, uphill climbing. The trail is simply groomed, not trackset, allowing a skier to get up the hill using the crab leg method. Some xcountry skiers use the skating method. This is done on shorter, narrower skies. due to the short length of the ski it is fairly easy to literally skate along groomed areas, not track set trails. Irma and I lived in the Margaree Valley area of Nova Scotia for many years. 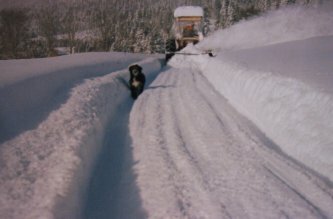 The valley receives a lot of snow due to it's location near the Atlantic ocean. the moist air would blow in from the sea, rise to over 400 meters (1200 ft.) and fall as snow into the valley. 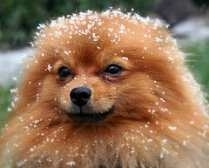 We received lots of nice, fluffy snow every day. This meant that the narrow skis would sink well down. We resorted to wider skis and solved the problem. Our little group skied without benefit of any groomed trails so the wide skis worked perfectly. Ski touring was great fun and a real challenge. The stark ugliness of the summer landscape (the spruce budworm had killed all the trees) was transformed into a winter wonderland and it was a pleasure to ski across the North River at St. Anne’s and down to the frozen falls. 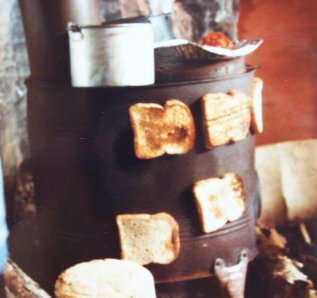 Our five slice toaster. Open the draft control for really well done. 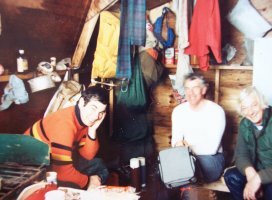 Once we skied across the Highlands to the community of North river. We broke trail in very deep snow from 8 in the am until 8 that night. The last downhill run was very long and fantastic as it followed an old logging road from the plateau to the valley. Xcountry skiing is different from Alpine. Your feet must be able to move easily. Xcountry skiing boots are lightweight and the toe snaps into the bindings attached to the skis. The heels remain free to rise up and down. Another type of ski and boot and binding is used in what's called Back-country skiing. the boots are much heavier, the bindings can be either used with the toe held firmly and the heel can be snapped down on downhill runs. The skis are a cross between xcountry and alpine. 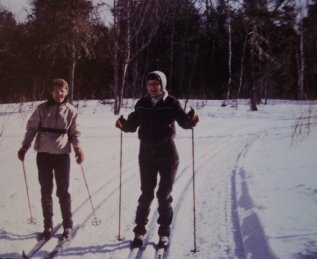 Ski loppets to x-country skiers are what tournaments are to golfers. A great chance to get together as a group and not only to have fun and some friendly competition but also to raise money for a favorite charity. The local sponsoring ski club will prepare the track, signage, food and beverages. Different age and levels of expertise ski in their categories. The races are timed and medals are awarded at the end. Loppets can be quite large events with upwards of 1200 participants entering. xcountry skiing si fantastic. Anyone who wishes to take part in officiating at the Loppets need to qualify to do so. National certification takes place from time to time with officials learning how to groom trails, time racers and right up to running an entire Olympic event.